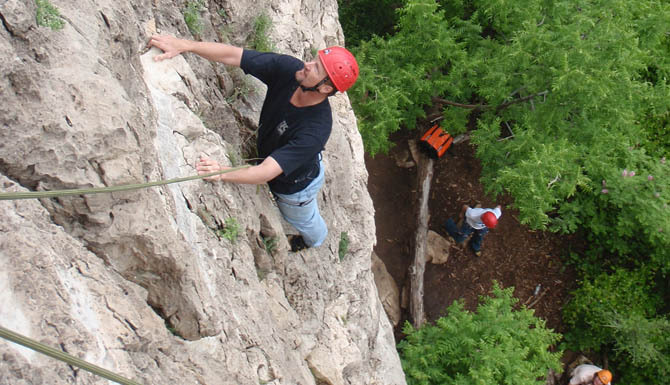 Join our Sedona rock climbing guides for a day of excitement, or take one of our Sedona guided day hiking tours. 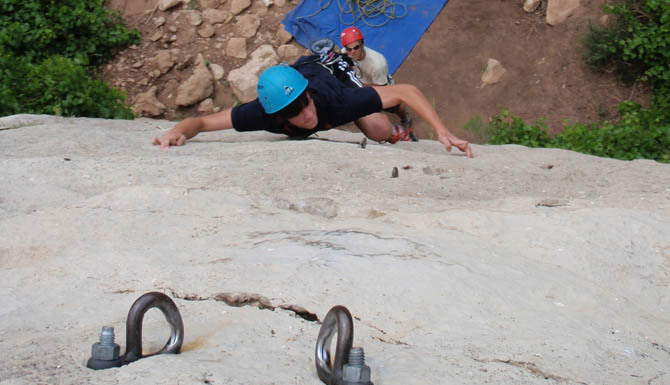 Our climbing guides have a minimum of ten years of experience, and our Sedona day hiking tours, unlike many other companies, are conducted by local Sedona hikers who actively hike the Red Rock landscape. Our day hiking will take you along beautiful sections of Oak Creek, where you feel the cool temperatures and see wildlife in this eco-system that serves as an oasis within Sedona providing you with a sense of relaxation, beauty, and well-being. We also travel along airy ridgelines where we see panoramic views of the Red Rocks that are unbeatable, and that will take you into the past to see one of the world’s most impressive landscapes. CenterFocus is a LEGAL guide company permitted to hike in the Red Rocks by the US Forest Service. We are fully licensed and insured. All guides, transportation, and equipment are included. Lunch is included as well on our full day hiking excursions.